Born 25 July 1876 at Southsea. The Bromhead brothers, Alfred Claude (always referred to as A.C.) and his younger brother Reginald, established the British end of the Gaumont company, which had been started as a branch of the French firm in 1898 by John Le Couteur, originally A.C. Bromhead's employer. A.C. soon took over and built up an important position for himself and the company he managed within the British film industry. His brother joined the company in 1903. Although originally an agency for French Gaumont films and machinery, British Gaumont swiftly became a successful outfit in its own right, its fiction film production programme in turn influencing the work of the French parent company. 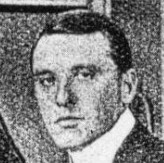 The director for these was music hall comedian and producer, Alfred Collins. Many of the productions were actuality and topical items, which led to his foundation of an early newsreel, Gaumont Graphic in 1910. The firm's newsgathering benefitted from the worldwide reach of the French parent company, as it also benefitted from Gaumont innovations in synchronised sound films (Chronophone) and colour (Chronochrome). 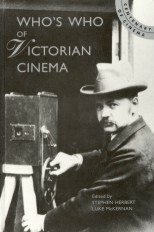 He toured the world on behalf of Gaumont, opening branches in Australia, Canada, Malta and New York. In 1912 he opened a large factory in Shepherd's Bush, which supplied the majority of positive prints of American and foreign films for the British market. During the First World War he attained the rank of Lieut.-Colonel and led a British film propaganda mission to Russia 1916-17, for which he was awarded the CBE. In 1922 the Bromheads bought out the French interests, making the former agency an entirely British firm, with studios at Shepherd's Bush. He remained prominent in the Gaumont organisation, becoming chairman of the Gaumont-British Picture Corporation in 1927.